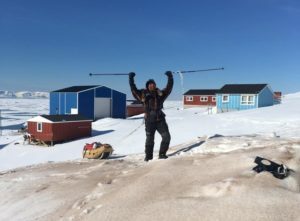 ALE’s complete start-up team has arrived on Antarctica and is busy building camp and clearing snow from the blue-ice runway, reported the logistic company. The team flew in per Borek Twin Otter and Basler BT-67 from Punta Arenas in Chile to Union Glacier on Antarctica, their main camp. 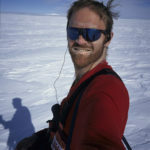 ALE transports the majority of skiers and climbers on Antarctica, as the majority of ski routes are reachable from Union Glacier. 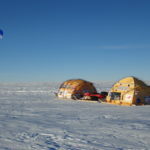 In Cape Town, South Africa, ALCI has a flight scheduled to Novolazarevskaya for the 28th, with solo traverse kite-skier Michele Pontrandolfo and a team of scientists among the passengers on the Ilyushin-76. 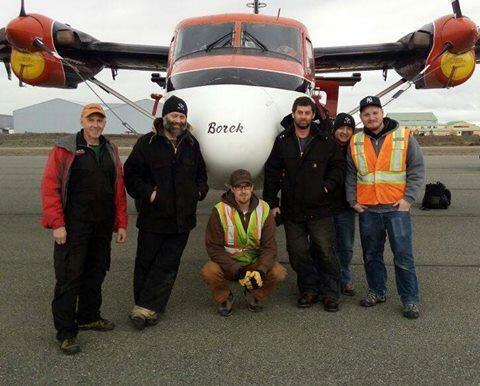 Earlier this month, first planes for the season arrived at McMurdo US Science Station (Basler, Twin Otter – both Kenn Borek – and Hercules). Airmen and ski-equipped aircraft from the New York Air National Guard’s 109th Airlift Wing have flown to Antarctica. Two ski-equipped LC-130 Hercules aircraft and 23 Airmen left Stratton Air National Guard Base on October 18 to participate in the wing’s 29th season supporting Operation Deep Freeze, the military component of the U.S. Antarctic Program, which is managed by the National Science Foundation. Throughout the season, which runs through February, a total of six LC-130s and 500 are expected to deploy, with between 300 and 350 missions planned. About 120 Airmen will be deployed on the ice at any one time. The primary mission of the 109th AW is to provide airlift within Antarctica, flying to various remote locations from McMurdo Station. Crews will transport scientists, support, fuel, supplies, medical supplies and more throughout the season. Last season, the 109th AW supported Antarctic research efforts by flying an estimated 3,900 researchers and support staff plus about 4 million pounds of cargo and 1.2 million pounds of fuel to research stations across Antarctica. Crews will also once again be flying missions in support of the Common Science Support Pod (CSSP) outfitted with IcePod science equipment. 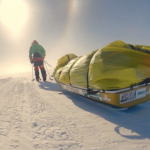 IcePod, an imaging system that can measure the depth of an ice sheet, was flown for the first time in Antarctica in the 2014-2015 season, and was deemed one of the biggest successes of that year. Just last month, an LC-130 crew with the 109th AW was awarded the Air Force Association’s Earl T. Ricks Award for outstanding airmanship in January 2015. According to the award citation, the crew successfully landed the aircraft in zero foot ceiling and zero miles visibility near Williams Field, Antarctica. 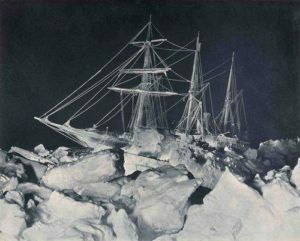 The snow and the horizon were the same color, and there were no shadows causing the crew to be effectively blind looking outside the aircraft.